Cleo and Her Rebel Alien ‘Dad’ Return in “Lifeformed Volume 2: Hearts and Minds”Writer Matt Mair Lowery and artist Cassie Anderson team up once again to bring you Lifeformed Volume 2: Hearts and Minds TPB, the continuation of Lifeformed: Cleo Makes Contact. 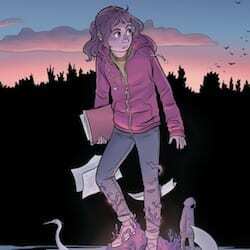 Cleo, orphaned in the wake of an alien invasion, left behind the life she knew to fight for the future of Earth. Now she and the shapeshifting rebel alien posing as her father make a fearsome team in a guerrilla war against the invaders. However, Cleo cannot escape her past and an adversary she thought she’d seen the last of is out for revenge, determined to ruin Cleo’s life. Equal parts thrilling, humorous, and endearing, writer Matt Mair Lowery (Lifeformed: Cleo Makes Contact) and artist Cassie Anderson (Extraordinary: The Story of an Ordinary Princess, Lifeformed: Cleo Makes Contact) have crafted the perfect 200-page middle grade sci-fi adventure in Lifeformed Volume 2: Hearts and Minds. Lifeformed Volume 2: Hearts and Minds arrives in comic shops near you on September 4, 2019 and is available to pre-order for $12.99 on Amazon, Barnes & Noble, and at your local comic shop. In an extraordinary land full of extraordinary people, what does it really mean to be ordinary? That’s what we discover in Extraordinary: The Story of an Ordinary Princess, inspired by M. M. Kaye’s beloved novel! Journey with Princess Basil, a princess whose gift is simply to be ordinary. 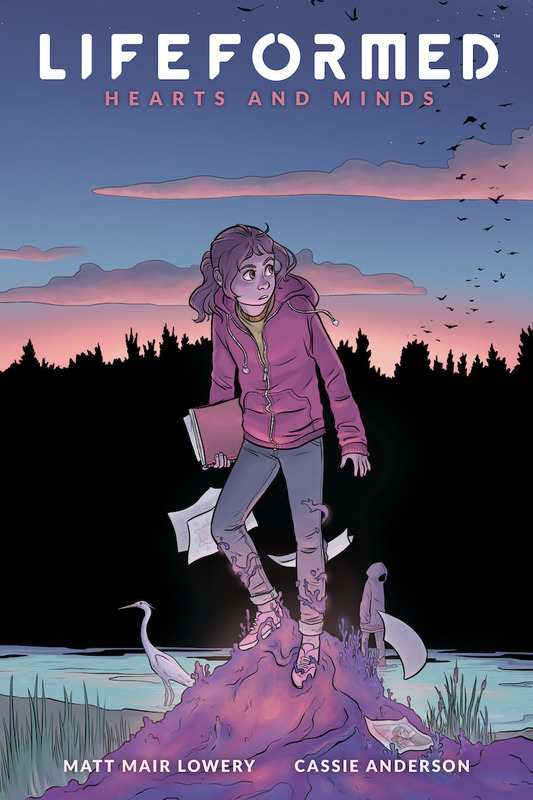 Portland comics artist and writer Cassie Anderson (Lifeformed) takes her webcomic out of the digital world for the first time in this tale of magical adventure, full of soul and humor for readers of all ages. In her quest to be more than just ordinary, Basil tracks down the fairy godmother who “blessed” her, and learns the answer to her ordinariness might more challenging than it appears. Follow along on her expedition as she escapes unusual kidnappings, gnomes, snarky foxes, and a badger or two, and along the way learns just what it takes to be extraordinary. 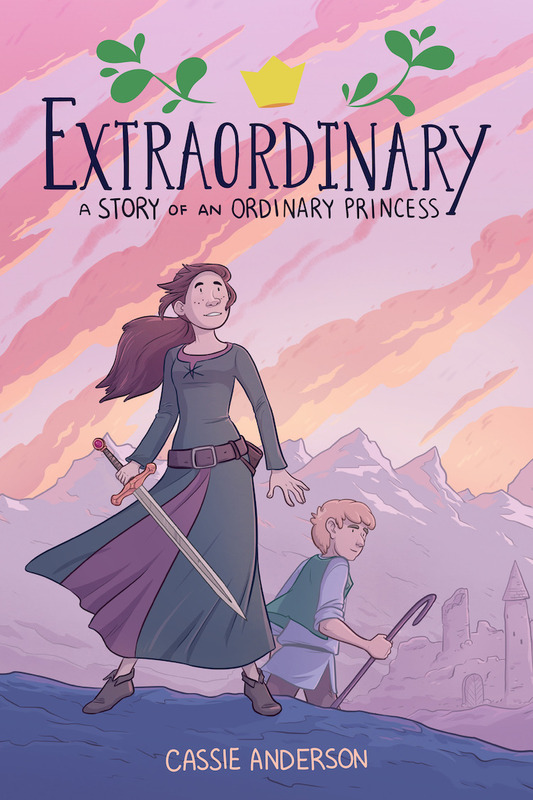 The exquisite Extraordinary: The Story of an Ordinary Princess comes to your local comic shop July 24, 2019, and is available for pre-order on Amazon and Barnes & Noble and at your local comic shop.